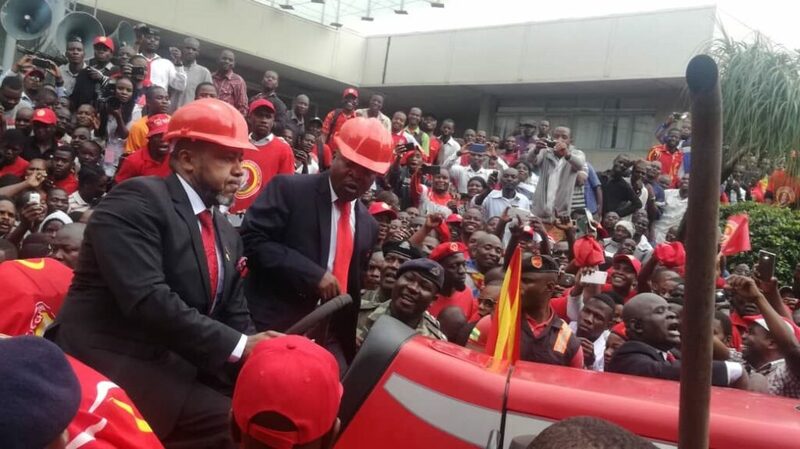 Last weekend there was a spring and exuberance of beautiful fresh air and the dawn of what one editorial called “political maturity,” as about eight presidents representing a coalition within a coalition, with UTM’s Saulos Chilima as President. 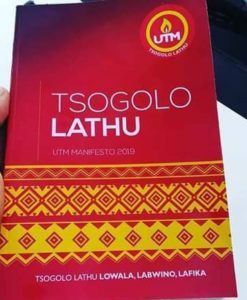 This was the coalition of Enoch Chihana’s AFORD, Cassim Chilumpha and Mark Katsonga Phiri’s Tikonze Coalition, and Saulos Chilima’s UTM. There was much shuffling as supporters and their leaders with rush adrenaline, scooted off to drawing boards to chart out new chants or interviews to broadcast far and wide. Sadly, within a span of two days, while the eagles were reaching their summits, the coalition crumbled, crashed and by Monday, alternative messages were making the rounds, amid a coterie of fake news. 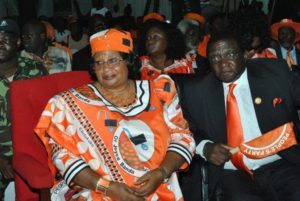 On Monday, Dr. Lazarus Chakwera presented his papers of candidature to MEC Chair Dr. Jane Ansah; and by Tuesday, Joyce Banda’s People Party also presented her candidacy. On Wednesday, Malawi Vice President presented his candidature; he was supported by the Tikonze coalition. 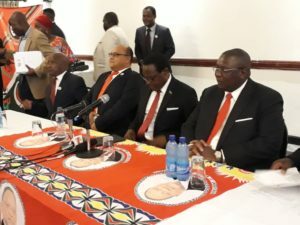 What on earth happened behind closed doors of the coalition conferences, that have been brewing for months – with passionate intent in ensuring Peter Arthur Mutharika does not get a second term? Well, in the ash heap of fake news stories that are circulating like a swam of bees, is the story that people came with agendas, among them that PP was pushing Banda’s son, Roy Kachale Banda to be Chilima’s running mate. 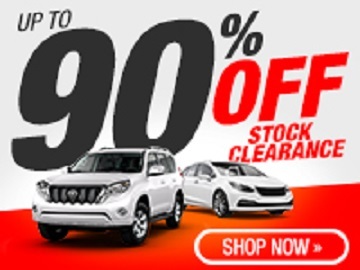 As Trevor Noah states, ‘Ain’t nobody got time for that,” so we move on. News is plentiful, but rather than newsmakers’ media/publicity fellows seeking out the media to place their stories, the media fraternity is made to run around chasing for verification of scoops, and some political parties are busy dishing out a series of ludicrous news tips. My spike gadget and desk bins are full of stories dished out by these unscrupulous political hands. 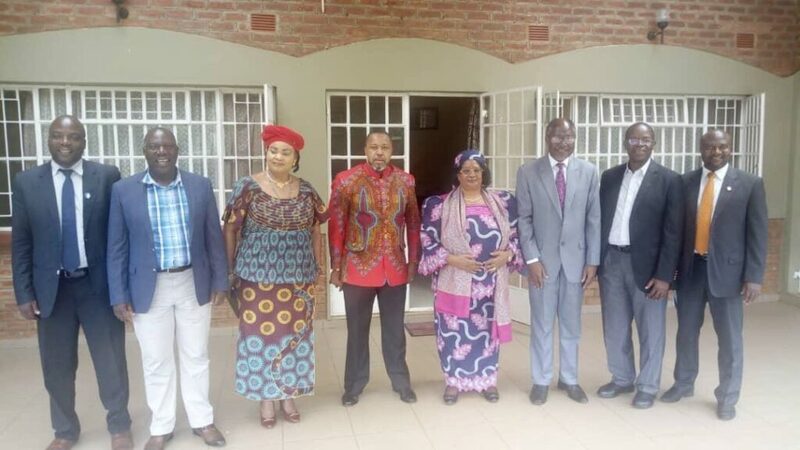 Suffice to say, political parties have turned my home town – now a city – Blantyre, into a haven of color and pomp as leaders come to MEC Chair Dr. Jane Ansah and give her their papers. in green Kamuzu cloth poured into the streets and headed for COMESA. 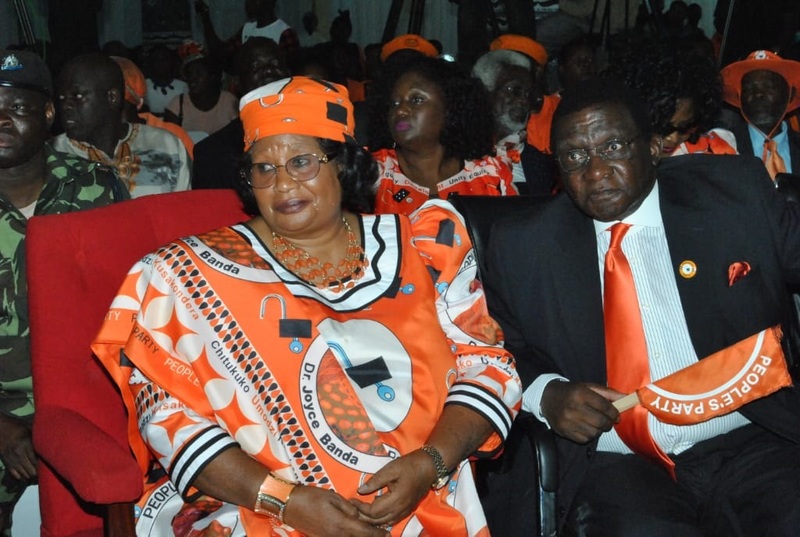 Then enter Malawi’s former President, Dr. Joyce Banda; my city transformed into an orange pageantry as JB flocked into the COMESA Hall with her VP pick as former VIPYA, WICO and later ADMARC CEO Dr. Jerry Jana. This is the first and only 50-50 leadership duet so far. In the early morning hours of Wednesday, it started to rain in Blantyre, but UTM supporters were not dissuaded from flocking first to Njamba Park to receive their party cloth, and then flood into COMESA, a mile away. We were saddened to learn that our colleague, a MEC reporter George Banda, was attacked by some over-zealous UTM supporters. To these, we concur with the UTM leader, that journalists are the purveyors of information, and every political party needs the support, not in ideology, but in transmitting the proceedings of events such as the one at COMESA. An attack on any media, is an attack on all of us in the fraternity; we are grateful that our parent body MISA-Malawi along with the Vice President spoke out against these, and that justice will prevail. There is no need to be violent in this peace-loving country. Like his fellow political leader, Chilima then went to a venue in Bangwe Township to address his followers in a capacity filled playground (standing room only). One venue, three big political parties; three large gatherings of supporters, and a wonderful feeling. I was at a loss on Monday when it became clear that the picture I held of 1994, would not be the case this time around. 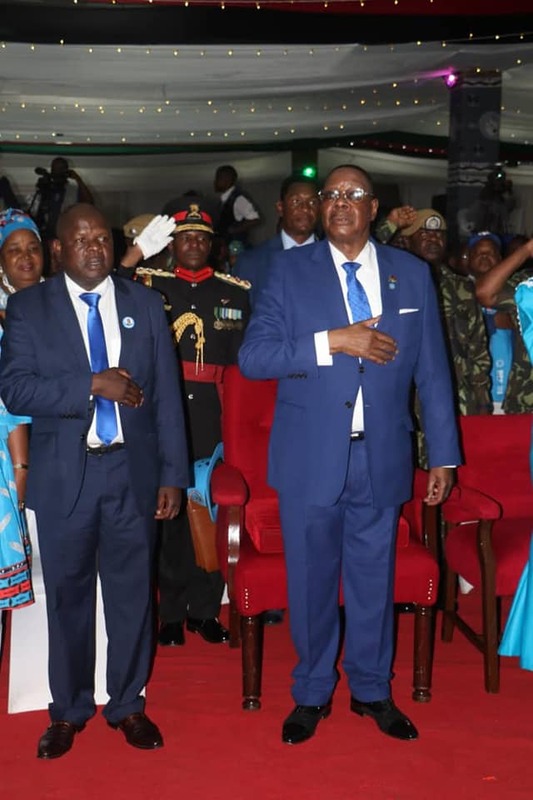 Back then, former President (then still President) Kamuzu Banda presented his papers along with Chikufwa Chihana, AFORD presidential candidate and Bakili Muluzi as UDF candidate: and the foto op included the secretary-generals of the parties, and MEC Chair, Justice Anastacia Msosa. The crowd was sizeable; but the crowds I have been seeing in the last three days, it would have been mayhem if all 21 (or whatever number of candidates Ansah has to get papers from), all showed up on one day. On Thursday UDF leader Atupele Muluzi and his Vice Presidential candidature we’re presented to the MEC, with their yellow-clad supporters. 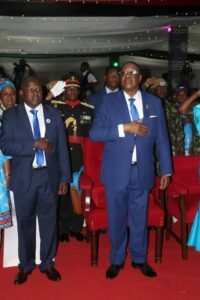 And Friday, (today), marks the last big candidature presentation when DPP President, who is State President Peter Arthur Mutharika, will present both papers and Vice Presidential candidate will be presented. Blue wave will rule the streets of my Blantyre.